Cycling has found itself firmly in focus in recent years in part thanks to Froome fever brought about by Chris Froome’s three Tour de France victories and of course, the success of Sir Bradley Wiggins, who will once again be going for gold in Rio in coming weeks. 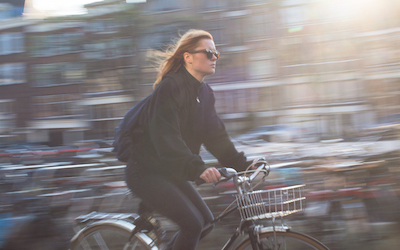 In fact, according to official statistics, cycle traffic has risen in the UK nearly every year since 2008. With more people choosing to cycle their daily commute, entering into events and taking touring holidays, today on the blog we’re looking at cycle insurance: do you need it, what does it cover and is it an essential to keep your wheels turning? Unlike car and van insurance, it’s not a legal requirement to have cycle insurance to ride your bike in the UK. However, since your bicycle is subject to many of the same risks as a vehicle would be, taking out bicycle insurance if you’re a regular rider or have a high value bike can be a sensible option. If you’ve invested a lot of time and money into your bike cycle insurance may be more of a necessity as you won’t want to see your efforts go to waste in the event of theft or an accident. If you also cycle in races or take it on tours there’s likely to be an increased risk of crashing into people, property and objects too. Am I not covered by my home insurance? 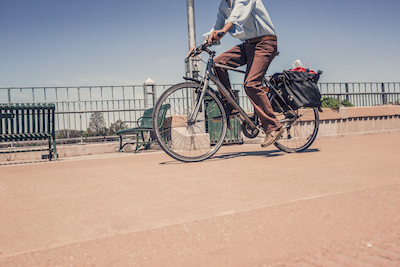 Many people mistakenly believe they are covered for bike theft on their home insurance and this may not automatically be the case. Most policies will cover your bike for theft from your property but won’t necessarily protect it when you are out and about. It’s usually possible to purchase out-of-home protection known as ‘all risks’ as an add on but you’ll need to ensure any excess would make claiming worth your while or if you have an expensive bike you’ll want to be sure you have plenty of cover in place. It’s also worth bearing in mind that should you need to make a claim because your bike has been stolen you could find it pushes up the cost of your home insurance. What's covered in cycle insurance? Like most types of insurance, you can select more basic or comprehensive cycling insurance to best suit the needs of you and your bike. With this in mind, you should read any policies with an eagle eye to look out for restrictions including whether any new for old policy extends to bikes of any age. Not all policies cover quick release components such as seat posts and wheels and some may also specify that your bike wheels as well as your frame are always locked. At the very least, it is common to be asked to meet a minimum level of security for storage. Debbie is a fan of Pedalsure insurance as it "protects her as well as her bike". Standard insurance will generally cover theft and damage when your bike is stationary as well as damage due to an accident while out on the road (usually when you are with your bike). Serious cyclers will want to look out for policies that cover custom bikes, clothing and equipment including detachable accessories. Other things you may find you might like to have are roadside assistance and cover for the cost of missed race fees and training if you or your bike is out of action. Personal accident insurance will cover you if you are seriously injured or killed on your bike and you may also want to incorporate public liability in case you case an accident that hurts someone else or causes damage to property, which results in you being sued. Will my insurance cover me abroad? Whether you want to take your bike on a family holiday or a training tour, you’ll need to be clear whether your cover extends overseas. Many policies will cover you within Europe, including theft while in transit with your airline, rail or coach provider but not necessarily offer worldwide protection. You may also find that your policy specifies how many days of cover outside of the UK you are entitled to. Many policies limit travel to 90 days per year, so if you’re planning a longer trip you may need to take out specialist cover. How much does cycle insurance cost third party? Cycle insurance that is similar to third party vehicle insurance varies in price according to the value of your bike and how your bike is used. Where you live and whether you have claimed for damage or theft of a bike before may also be taken into account. If your bike frame costs thousands you can expect to pay upwards of a few hundred pounds. Which cycle insurance is best? To find out which insurers other cyclers rate, you can check out our reviews. Our Insurance Choice Awards will also give some great insight into which insurers are getting noticed for the right reasons, whether Bikmo, Protect Your Bubble, Pedalsure, Velosure, or one of the other big providers. Your first choice is whether you want to cover your bike through your home insurance or take out specialist cycle insurance. If you’re the member of a cycling organisation such as British Cycling or the CTC you may find you have some form of insurance as part of your membership. If you’re unlucky enough to have a new bike stolen or damaged before you’ve had the chance to insure it, it’s worth checking whether you are covered through purchase protection on your credit card. Do you already have cycle insurance? Why not let other cyclists know how you rate your provider by leaving a review?